We’re planning private custom picnics for you and your special someone or friends. 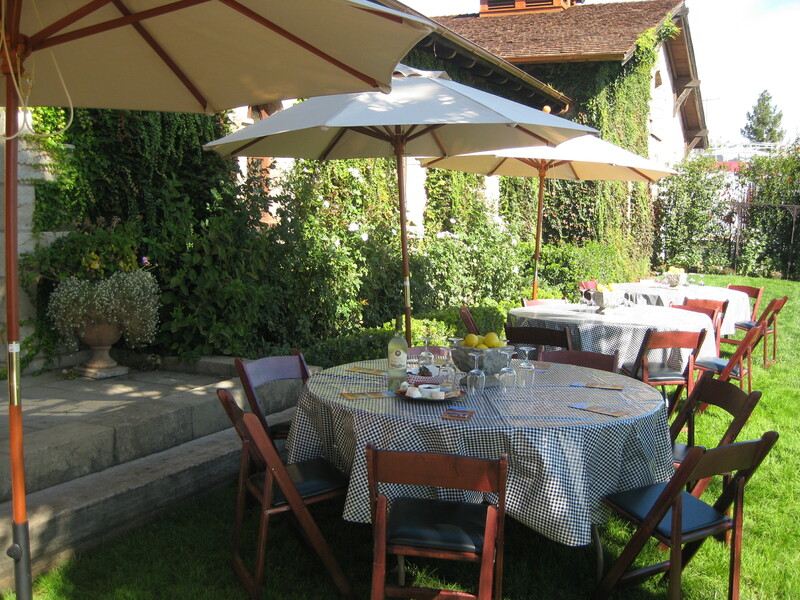 Groups of 25 or more may reserve a private location on our spacious picnic grounds for a special gourmet buffet luncheon created by our winery chef. Menu prices include table linens, wine glasses, plastic ware, bottled water, and two bottles of our V Sattui wines per table of eight. A complimentary winery tour and tasting are included, with the luncheon. Book yours today and we will customize each detail to make it a special and memorable event!